If you're reading this, you probably already know that refinancing can save you hundreds every month on your student loan. But it can be hard to know which company to refi with when you're inundated with offers. CommonBond offers exceptionally low rates, along with some really unique loan options. Beyond that, CommonBond has several programs to benefit customers who may need assistance, as well as a visionary philanthropic program to help students in need. If you're looking to refinance, here's why they may be worth a look. Why refinance your student loans with CommonBond? CommonBond was founded in 2011 by three Wharton MBA graduates who experienced student debt problems first-hand. They shared a common goal: to create the lender they wish they had back then. What they came up with was a company that offers a diverse range of fixed- and variable-rate loans to fit a wide range of financial situations. They also offer that rare mythical beast of the student loan industry-outstanding customer service. Their team has won awards and is recognized as best-in-class. Plus, CommonBond is flexible. Although they're a private lender, CommonBond offers an option similar to federal loan forbearance if your financial circumstances change. The program lets you postpone your loan payments on a temporary basis if you qualify. Finally, there's the feel-good factor. CommonBond has a strong social mission. For every student degree they fund, they also put a student in need through school. CommonBond is the only lender in the industry with this kind of one-to-one program. They do it in partnership with Pencils of Promise, an organization that builds schools and promotes literacy in Ghana and other places around the world. What are the benefits of refinancing with CommonBond? CommonBond is committed to keeping all of its interest rates below double digits. On average, CommonBond customers save about $24,046 over their loan's lifetime. They offer helpful tools like the student loan refinancing calculator, which can help you determine how refinancing will affect your monthly loan payments. CommonBond offers a hybrid refinancing option in which the interest stays fixed for five years before becoming variable for the next five. This is unusual in the industry, designed to keep interest rates low while keeping month-to-month payment amounts stable. In addition, CommonBond makes an effort to help its customers take the next step in their careers. They run regular networking events, panel discussions, and dinners to connect customers with industry thought leaders. And they help customers between jobs transition to their next role through their CommonBridge program-another industry first. What refinancing options does CommonBond offer? The interest rate on these loans rises and falls with the market, so your monthly payments may change from month to month. However, these types of loan typically have the lowest starting interest rate. These loans have a single interest rate through the life of the loan. The total interest may be slightly higher than you'd get with a variable-rate loan, but the monthly payments are more predictable. The interest stays fixed for five years, then switches to variable. For many, this is the best of both worlds-minimizing both interest rates and monthly payments. Who is eligible to refinance with CommonBond? CommonBond offers refinancing to graduates of over 2,000 Title IV-accredited universities and graduate programs throughout the United States. You must have at least $5,000 in student loans to refinance. Your credit history will come into play when determining eligibility and interest rates. What are the rates and fees involved in refinancing with CommonBond? Variable-rate loans range from 2.48-6.25% APR. Fixed-rate loans range from 3.20-6.25% APR. Hybrid loans range from 4.29-6.34% APR. The payment terms vary from five to 20 years for variable and fixed-rate loans; hybrid loans are offered on terms of 10 years. There are no origination fees or prepayment penalties. You can pay off your entire loan ahead of schedule with no extra costs. Yep! There is a 0.25% interest rate discount if you sign up for AutoPay. What is the application process for refinancing? You can apply online, upload supporting documents, and get a preliminary decision in minutes. Final approval happens in just a few days. Proof of employment-two recent pay stubs, two recent years of tax documents, or a letter of acceptance from a future employer. A recent loan statement for each of the loans you're looking to refinance. Proof of residence-a recent bank statement or utility bill. Once your application is approved, CommonBond will handle the refinance process with your lenders. With truly unique loan offerings and a commitment to helping students in need, CommonBond is looking to reform the student loan landscape. That and their competitive loan rates definitely make them worth a look in your student loan refinancing search. Standard stuff—provide your name, email, and a password. CommonBond lets you refinance undergraduate and graduate student loans—with a special program for MBA students. Pick the option that fits you best. 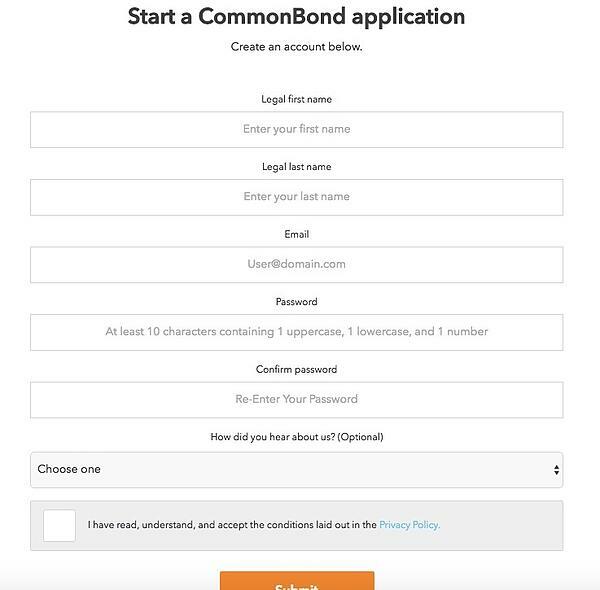 CommonBond will ask your name, phone number, and address. 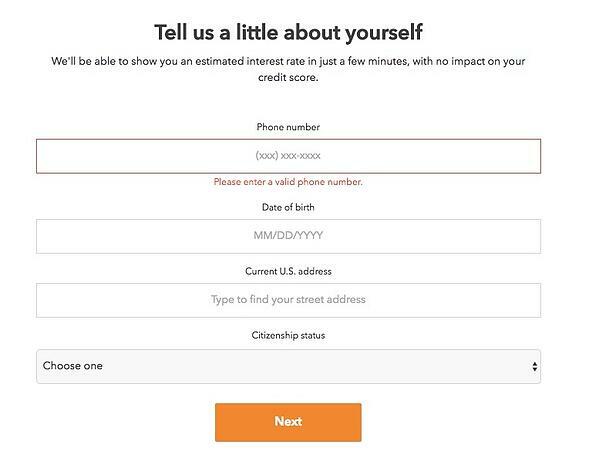 The application also asks whether you’re a U.S. citizen. At this point, CommonBond only refinances with US citizens and permanent residents. 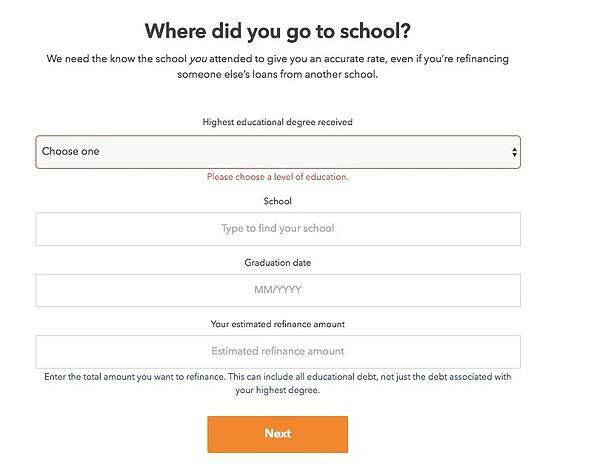 CommonBond will ask you where you went to school, your graduation date, and the amount you’re looking to refinance. This doesn’t have to be a total amount—just an estimate. CommonBond works with approximately 2,000 Title IV-accredited schools. Your school has to be on their list for you to qualify for a loan. One point to remember is that even if you’re refinancing for someone else’s loans—such as your child’s—CommonBond still wants to know where you went to school, as the loan-holder. 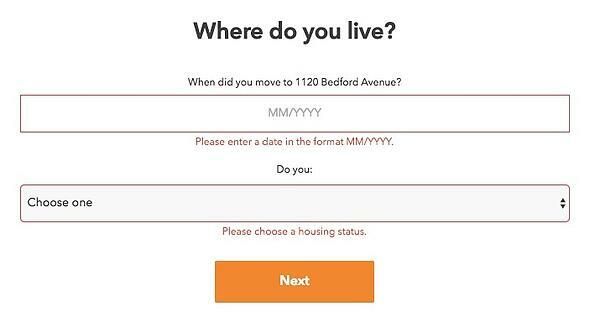 CommonBond wants to know how long you’ve lived in your current place and how much your housing costs are. You can tell them that you own your home (with or without a mortgage), live with your parents, or rent. For most of us, housing is one of our biggest recurring expenses—unless you live in a no-rent situation. CommonBond is asking this question to get a more complete picture of your financial life. CommonBond will ask you your employment status. You can tell them you’re employed, self-employed, retired, or unemployed. 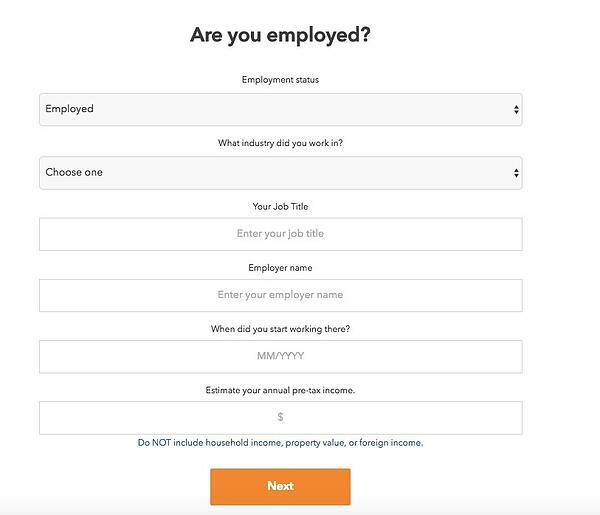 You’ll then need to answer questions about your employer, when you started working at your current job, and what your income is. CommonBond will pull a soft credit check—one that doesn’t affect your credit history. Once you’ve gone through this process, you’ll get an estimated interest rate for a refinanced loan. If you like the deal, you can make it official. After you get your interest rate, you’ll need to provide documentation we’ve listed—including proof of employment, loan statements, and proof of residence. Once you’ve provided all the documentation, CommonBond will do a “hard” pull on your credit. 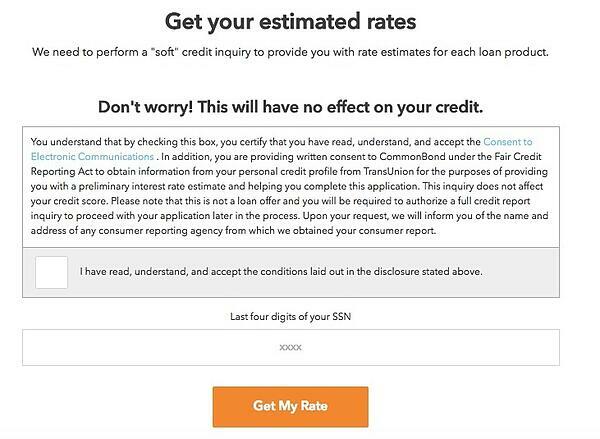 This is a more-detailed look at your credit that does show up on your report. When CommonBond gets back to you after this, it will be with your loan offer. Learn more about refinancing your student loans with CommonBond.